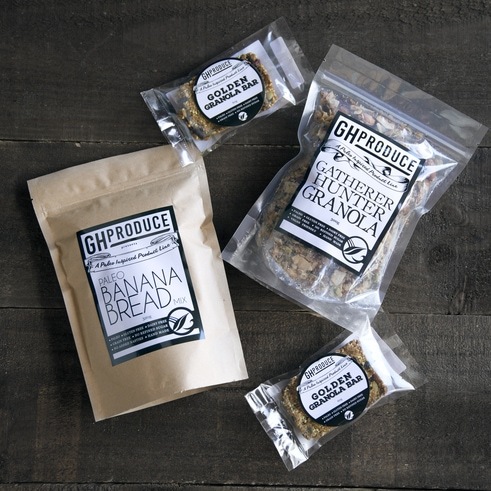 Now stocking a range of paleo inspired products from GH Produce. Designed for people with food allergies, or those just looking for a healthier, more ethical option. GH Produce support local businesses, growers and try to use organic wherever possible in their products. We currently stock GH Produce Vegan Chocolate Cupcake Mix, Golden Granola Bars, Paleo Banana Bread Mix, Gatherer Hunter Granola and Rosemary Saltbush Nuts.